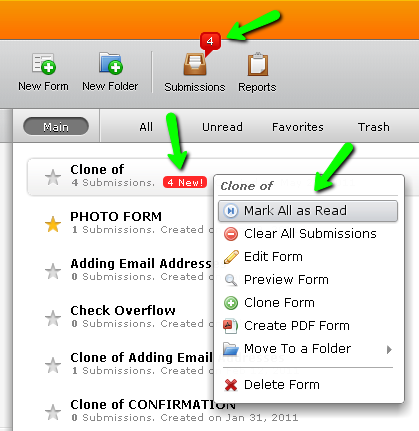 Can I mark all entries in my forms as read with only one click? Hey it would be a nice feature if I can simply mark all entries of a form as read. Ahhh.... cool there is a context menu nice to know, maybe you should give a hint thats there is one!